READY TO RIDE THE WAVE WITH US? Start planning your move or your trip to Berwyn with this must-have guide that covers the city's best neighborhood amenities and attractions. From event calendars to insights into our business corridors, housing and notable dining, arts and entertainment scene, it's all included! Berwyn Magazine is a quarterly publication that is mailed to all Berwyn households and businesses in English with an additional mailing of the Spanish edition to the city’s Spanish-preferred households. The magazine includes “Hot Deals” coupons and ads reserved for members only, plus community news, economic development updates, chamber activities and upcoming events. IT'S OUR ACTIVE NIGHTLIFE SPOTS, PROGRESSIVE POLICIES AND FOCUS ON CREATING MORE INDEPENDENT BUSINESSES THAT SETS US APART. 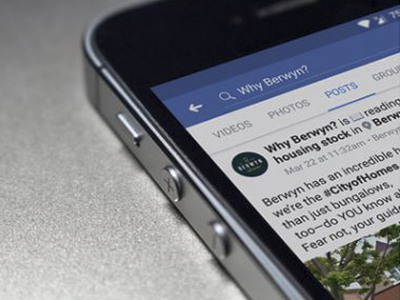 For all things Berwyn-centric, from community events to mentions in the news and more—Facebook, Twitter and Instagram are your go-to platforms for the latest and greatest in Berwyn! Find more about Beautiful Berwyn, the City of Homes. The WhyBerwyn.com blog provides visitors with a stream of information on the area's real estate, businesses, schools, parks and recreation, cultural hot spots and special events.